MRTeam purchased a VS Holden Commodore V8 Supercar that was built for the 2001 race season with the VT specs current at that time. The car has a 'Rob Benson' 18 degree V8 Chev Motor that was originally built for Wayne Gardener in 2003 for the Bathurst 1000 and has a five dog 6 speed Hollinger gearbox. The car also has a 'Harrop' braking assembly, suspension and alloy differential, with 'Ohlin' 2-way adjustable shock absorbers and all the components required in a highly competitive race car. The car has been well maintained over the years making it the ideal car for a promising career in the Australian Sports Sedan Association. 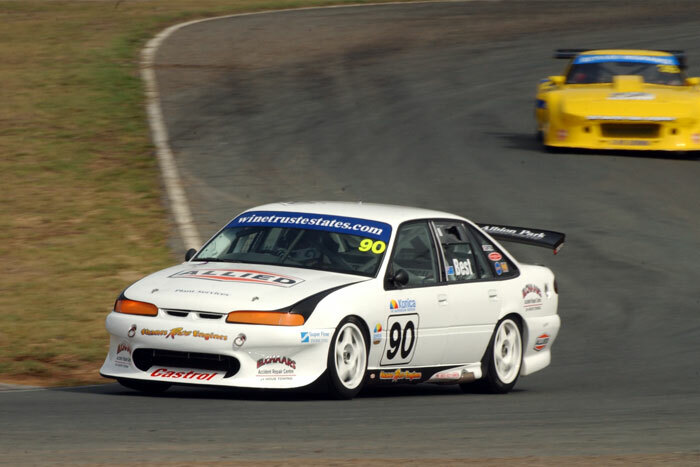 Sports Sedans are a category unique to Australia in which vehicles are based on a production sedan, with modifications allowable under the rules to enable them to be more suitable for racing. The category caters to a wide variety of body and engine combinations and budget levels amongst competitors. While the cars look similar to road sedans, that is where the similarities end. The front-running cars can only be described as BIG. Big engines, big wings, big tyres and big performance. The rules allow great freedom in this category and as a result Sports Sedans are one of the most awesome forms of racing cars going. 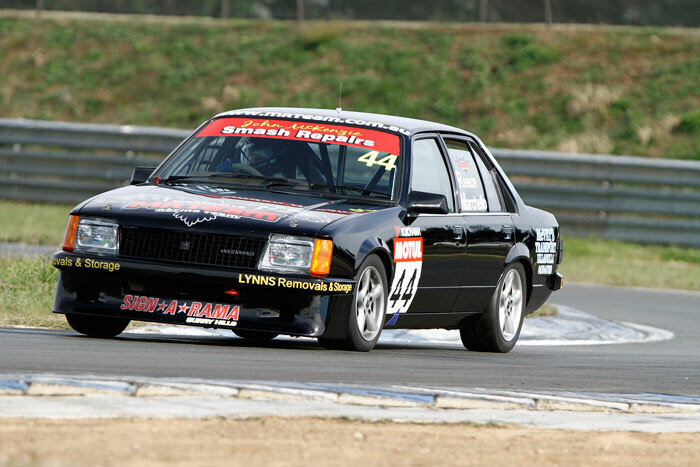 MRTeam has completely rebuilt 2 VB Holden Commodores from the ground up. They compete in the Improved Production Over 2 Litre category of the NSW Motor Race Championships, as well as the QLD and VIC State Championship Rounds. The cars were previously raced and were quite competitive in the Combined Touring Car Series. The engines have been replaced with newly built 5.8L Chev’s and tuned with our SuperFlow 902 Engine Dyno to produce 550hp and 460ft-lb of Torque. Driveline, brakes, suspension and roll cage systems have been re-engineered to enhance the performance of these front running cars.. Improved Production cars are defined as 'commercially available touring cars' and are allowed a reasonable level of modification to allow both the racer and the designer room to create an exciting form of race car. In the over 2 Lt class the cars will be competing against early and late model Holdens, Fords and Mazda Rotary’s to name a few, which is a very popular and exciting class for both the drivers and spectators alike. Many fans line up at the wall at the sound of the Rotaries & V8’s firing up their engines and ready themselves for the battle of the Holden V8’s vs the Mazda Rotaries. 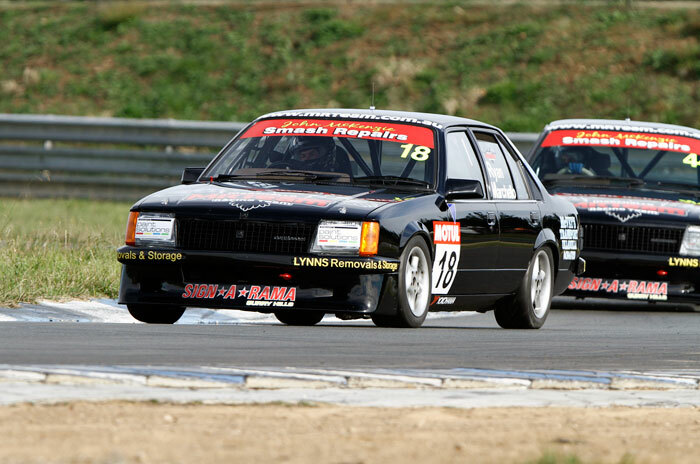 MRTeam is looking to purchase multiple VE Holden Commodores. Our aim is to compete in the V8 Supercars Development Series in 2014 as a 3 car team. The V8 Supercars Development Series, known as the 'Dunlop Series', is a stepping stone between the Sports Sedan Category and the V8 Supercars Championship Series. It provides an avenue for high media exposure for both the team and our sponsors as well as a training ground for the main game. The Dunlop Series rounds are held in conjunction with the Championship rounds and receive television coverage with Channel Seven Broadcast, Channel Seven's V8Xtra, Fox Sports, Speed TV and BigPond Broadband.